Cranes keeper Denis Onyango and Striker Geoffrey Massa have joined his colleagues in training ahead the crucial return leg with Madagascar on May 31 at Namboole stadium. Reports from FUFA say that the national football body has finalized with all travel arrangement for the missing players in the squad. 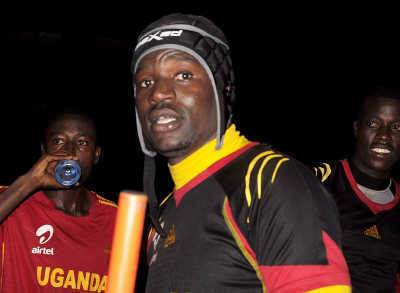 Hamza Muwonge expected to arrive Friday, while Tonny Mawejje and Moses Oloya are expected on Saturday. Dan Serunkuma, Aucho Khalid, and Baba Kizito are expected on Sunday after their league games on Sunday evening. Yunus Sentamu has also been invited and is expected on Monday morning after a champions league game for his team and TP Mazembe on Sunday. The team are expected to get start residential training Friday and have been booked at SKY hotel in Naalya. FUFA have announced ticket prices for the game and they will be Ushs 20,000 for open stands, Ushs 50,000 for VIP and Ushs 120,000 for VVIP.